For 2015, the Chrysler 200 has a completely new look inside and out. For instance, the standard 2.4-liter Tigershark MultiAir®2 I-4 engine delivers an impressive 36 miles per gallon on the highway and the elegant design radiates European sophistication. The exterior of the 2015 Chrysler 200 is sleek with sweeping lines and aerodynamic curves while the interior makes both driver and passengers feel as if they are sitting in a first-class cockpit sailing across the road as it drives smoothly to your destination. Along with the 2.4-liter Tigershark MultiAir®2 I-4 engine is the equally impressive, award-winning 3.6-liter Pentastar V-6 engine that returns 32 highway miles per gallon. 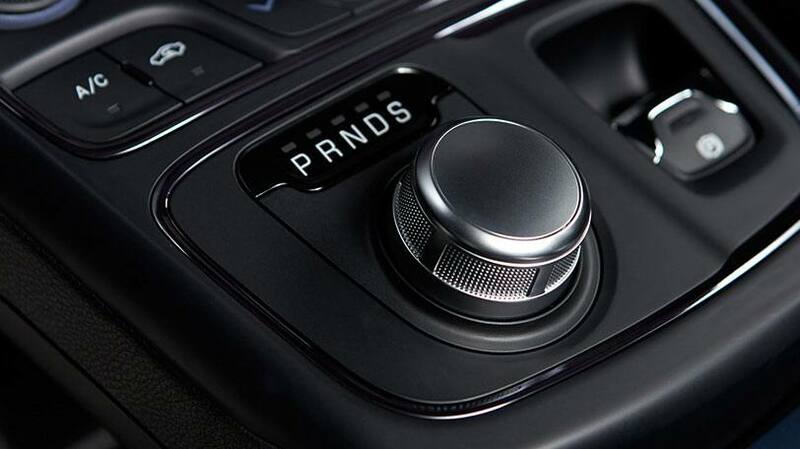 Standard for the 2015 Chrysler 200, all models come with a nine-speed automatic transmission and an electronic gear-shifting knob that allows you to change gears unnoticeably. With minimal body lean as you reach the apex of each bend, the 2015 Chrysler 200 hugs each turn. It also makes both long and short drives comfortable with a soundproof cabin and padded cloth or leather seats. Another new, standard feature for the 2015 200 is All-Wheel-Drive-a system unusual for mid-sized sedans and a first for the Chrysler 200. To learn more about the power behind the 2015 Chrysler 200, visit Lynch Dodge Chrysler Jeep and test-drive one today. If you think you know Chrysler, then think again. 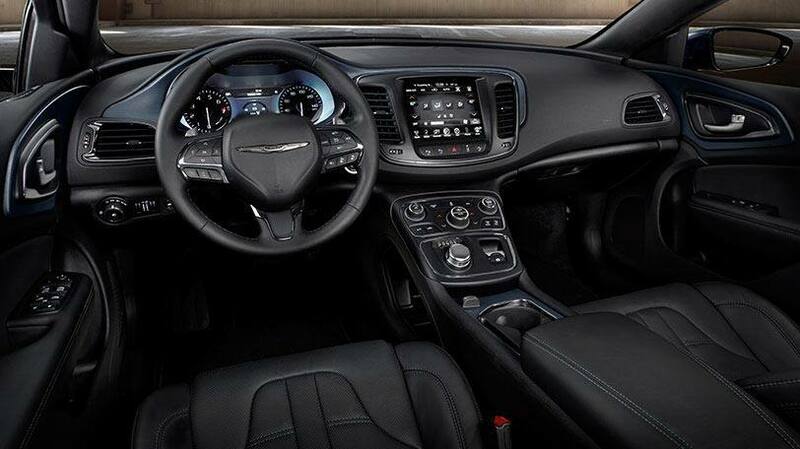 The all-new 2015 Chrysler 200 has exceeded all imagination in the interior and exterior redesign of this mid-sized sedan. Words to describe this vehicle are elegant, luxurious, polished, high-class, and modern. The padded seats are comfortable whether covered in cloth or leather and the spacious legroom and headroom make commuting enjoyable and relaxing. However, the muted engine helps both driver and passengers feel at ease and serene. Lumbar support is also standard in the seating for the 2015 Chrysler 200. If you love modern technology, then you will love the all-new Chrysler 200. It has an available 8.4-inch Uconnect® touchscreen system that allows you to listen to streaming music, navigate from Point A to Point B without problems, search local weather, movie theaters, and sports updates, and much more. Along with one year of free Uconnect® Access+, you will also benefit from additional features of the Uconnect ® system, including include the Alpine® 506-watt 10-speaker premium sound system, Integrated Voice Command, and SiriusXM® Satellite Radio+. The 2015 Chrysler 200 provides you with the most standard and available safety features than any other mid-sized sedan currently on the market, which makes it the perfect choice for drivers who regard safety first. Some of these safety features include an advanced All Wheel Drive system, Forward Collision Warning, Adaptive Cruise Control (ACC) with stop and go functionality, ParkView® Rear Backup Camera with dynamic gridlines, and blind spot monitoring. Standard with every 2015 Chrysler 200 is eight strategically-placed airbags to help protect your most prized possessions in the event of an accident.